All-American Redneck: Variations on an Icon, from James Fenimore Cooper to the Dixie Chicks. Knoxville, TN: U Tennessee Press, 2014. Finalist, Weatherford Award. “Mos Teutonicus.” Beautiful Flesh: A Body of Essays. Stephanie G’Schwind, Editor. Fort Collins, CO: Center for Literary Publishing at Colorado State U, 2017. 141-156. “The Slashing.” Man in the Moon: Essays on Fathers and Fatherhood. Stephanie G’Schwind, Editor. Fort Collins, CO: Center for Literary Publishing at Colorado State U, 2014. 128-138. “In the Cancer Center Waiting Room.” Cincinnati Review 14.2 (Winter 2018): 52-53. “Moving Water.” Cimarron Review 199/200/201 (Spring, Summer, Fall 2017): 140-152. “The Foxes of Prince Edward Island.” Reprint. The Fiddlehead 272 (Summer 2017): 148-159. “The Foxes of Prince Edward Island.” Gettysburg Review 30.1 (Spring 2017): 27-37. “Approved by the Postmaster General.” Quarter After Eight 22 (Spring 2016): 101-112. “Shaggy Grass, Seaside Golf, and French Theory.” The Millions. Nov. 12, 2015. “Blooding.” Moon City Review (2015): 121-124. “Milk Off.” Copper Nickel 20 (Spring 2015): 30-32. “Mos Teutonicus.” Colorado Review 41.3 (Fall/Winter 2014): 79-93. “Depredation.” Creative Nonfiction 51 (Spring 2014): 35-40. Human Face of Sustainability Issue, in partnership with Arizona State University’s Consortium for Science, Policy, and Outcomes, and the Rob and Melani Walton Sustainability Solutions Initiatives. “Exoskeleton.” Gettysburg Review 27.1 (Spring 2014): 108-119. “Spiritual Dangers.” Winner of 2013 Montana Prize in Creative Nonfiction. Cutbank 79 (Fall 2013): 52-67. “The Slashing.” Gulf Coast 25.2 (Spring 2013): 184-193. Selected as Notable Essay in Best American Sports Writing 2014. “White Vespa.” Burrow Press Review. October 2012. “Getting There.” Sport Literate 7.2 (Winter 2012): 74-82. “Museum Piece.” Puckerbrush Review 27.1 (Summer/Fall 2010): 31-34. “Spaces Between.” Blue Mesa Review 23 (Spring 2010): 66-78. 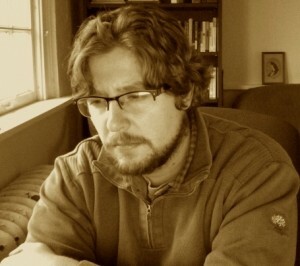 Selected as Notable Essay for Best American Essays 2011. “Rules of the Game.” Stymie 2.1 (Summer 2009): 21-29. Nominated for 2009 Pushcart Prize and 2010 Dzanc Books Best of the Web Prize. “Highways and Fairways.” Crab Orchard Review 14.1 (Winter/Spring 2009): 174-182. “Viewed From Above.” Concho River Review 22.2 (Fall 2008): 69-80. “On the Turquoise Tee.” Blue Mesa Review 20/21 (Fall 2007/Spring 2008): 68-77. “You Are and You Ain’t: Story and Literature as Redneck Resistance.” Journal of Appalachian Studies 18.1&2 (Spring/Fall 2012): 113-130. “Reality is Sly, People are Complicated: The Facts of the Matter (Part Two).” Roundtable discussion. Brevity: 20 Nov. 2012. “As a Matter of Fact: A Roundtable Discussion About Anonymous’ ‘The Facts of the Matter’ and Truth and Craft in Nonfiction. Roundtable Discussion. Brevity: 5 Nov. 2012. “Breaking the Filibuster of Race: the Literary Resonance of the Emmett Till Mur-der.” Arkansas Review 41.1 (Spring 2010): 45-62. “The Naturalized Redneck: Performing Citizenship through Patriotic Submission.” Popular Culture Review 19.2 (Summer 2008): 61-67. “Make it Up, Make it Right: Presidential Truth Through Biographical Falsity in Edmund Morris’s Dutch.” EASPSU On-line 3.1 (Fall 2006): 131-143.